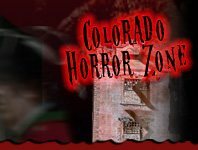 The Home Haunts of Colorado are more than your typical homes dresses in Halloween décor. They are attractions carefully and thoughtfully designed to tell a hauntingly good story. See homes decked out in ways you’ve never seen before and get a good scare or two out of it too! It’ll be a frightful filled night so check them out with a group of friends and family!